With 600 kilometers of coastline, Normandy offers a landscape of stunning variety: high cliffs, sandy beaches, dunes, coves and steep cliffs line the coast. 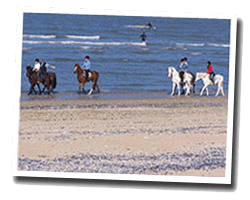 There are seaside resorts to suit all tastes, from the most prestigious (Deauville, Cabourg) to small family resorts. Some destinations are famous throughout the world as the Mont-Saint-Michel, Deauville or Etretat. At the seaside you can find a large choice of pebble or sand beaches. High place of World War II, this area annually attracts hundreds of thousands of tourists. Sea view holiday rentals for all budgets await you, from studio flats to luxury villas. 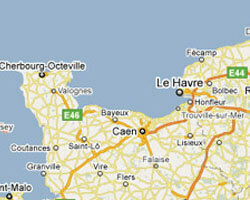 In Normandy enjoy a seaview holiday rental. 4 rooms House 90sq. m in Town centre. Beach at 10m. Terrace with barbecue and outdoor furniture. 4 Bedroom(s), 2 double bed(s). short stays possibility. Final cleaning : 55 €. 4 rooms House 50 m2 in the quiet "Les Cottages d'Annie residence". Terrace, shared garden with outdoor furniture, deck chairs and barbecue. Shared outdoor swimming pool. View of the sea. this semi-detached holiday home offers a terrace and a garden with a sun terrace. The property is 6 km from Deauville and offers views of the sea. Free WiFi is featured throughout the property. Beautiful spacious Belle époque house , luminous. Sea view from the living room, the bedroom balcony or garden terrace. 5 Bedroom(s), 3 double bed(s). Studioflat with private access to the beach. Studio Apartment 1 room 19m2. Close to town centre. 2 rooms apartment 30m2. Close to town centre.